When you work from home, you have tons of freedom to set up your office space any way you want. Your only limitations are space and budget. If you’re looking for ways to make your home office the envy of clients and coworkers, check out these seven gadgets that improve productivity and comfort. Most are even budget friendly. You need a smartphone to connect with clients, access emails on the go, store information, and control all sorts of gadgets in your home office. It’s one item your home office shouldn’t be without. 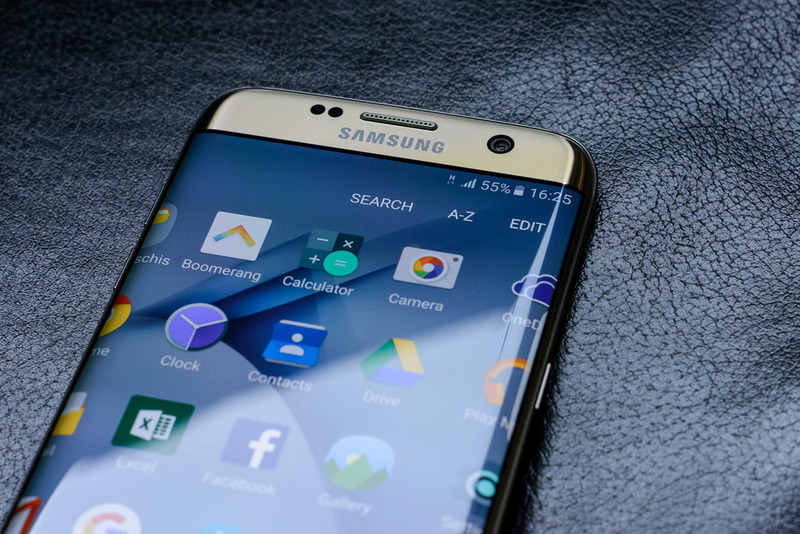 One of the best smartphones on the market is the Samsung Galaxy S7 Edge. It has an ergonomic design, large screen, expandable memory, and access to thousands of apps from the Google Play Store. Plus, it comes loaded with Microsoft word processing apps, cloud storage, and everything else you need to stay productive when working from home. Most people who work from home engage in VoIP conversations and meetings. This means you need a microphone and quality speakers or a headset. One of the best options is a Bluewire headset. It records both sides of your conversations and stores the files for you. You can then transfer the conversations to your smartphone or any other Bluetooth device to make sure you didn’t miss any important information from a meeting or call. Outdoor cameras aren’t just for security. You can also use them to monitor when clients arrive at your home. The Nest Cam Outdoor sends you a phone alert when someone steps on your property. This gives you time to meet clients at the door before they ever ring the bell. There’s no better way to make your clients feel special and important. You can also use the Nest Cam Outdoor to monitor when packages arrive so they never get left in the rain or get stolen. Bad air quality affects your productivity. It leads to dry eyes, skin rashes, and allergies. The Foobot Air Quality Monitor constantly checks the temperature, humidity, and pollution in your office space. The readings are then uploaded to your home’s smart system through Wi-Fi. The Foobot Air Quality Monitor can power on air purifiers and humidifiers to make the air quality in your home office perfect for working. If you’ve always loved the idea of a paperless office, the Phree is an awesome tool that helps you take notes and store them virtually. It looks like a pen, but you can use it on any surface without leaving a mark. All your strokes are captured and transferred to any software or app you like through Bluetooth. It’s compatible with Microsoft Office, Evernote, Acrobat, Viber, Google, and more. You no longer need a piece of paper to write down phone numbers or jot down a quick note. Practically all businesses are turning to cloud storage because it’s the only way to ensure that you don’t lose your work, and you can access it from any connected device. One excellent cloud storage solution for your home office is Brease. All you do is connect any external hard drive, flash drive, or NAS into the USB storage device, and all of the data gets stored securely in the cloud. It’s easy to use, and it’s a good alternative to DropBox and other cloud storage options. You never know when you’ll need to display a presentation or video from your home office. Luckily, with the iBeamBLOCK, you’ll always be prepared. It’s a stackable HD projector combined with a power ban and Win10 tablet. You can use it to display any multimedia experience from your home office or on the go. There are all sorts of gadgets that can take your home office to the next level. The best ones are those that have multiple functions and can be controlled by your smartphone. We want to hear about the tech gadgets you use in your office to improve productivity and comfort. Tell us about them in the comments below.